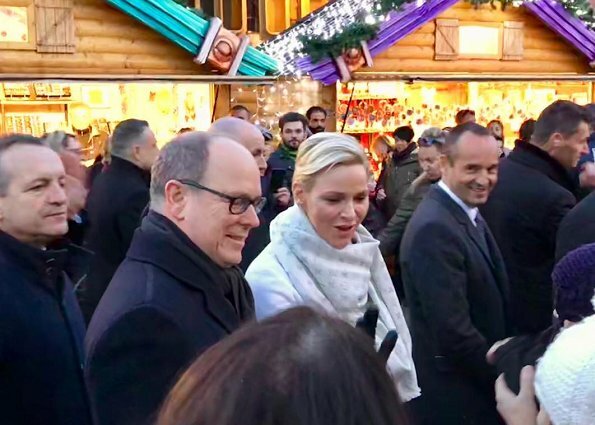 On December 9, 2017, Prince Albert of Monaco and Princess Charlene of Monaco attended the opening of traditional Christmas Market 2017 (Le Village de Noël de Monaco) at the Port of Hercules in Monaco. 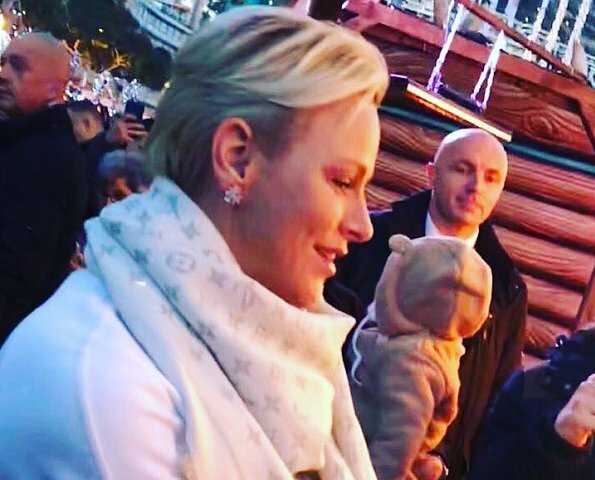 Each year the Monaco Christmas Market depicts a new theme. The theme of 2017 is "Workshops of Santa Claus". Charlène est heureuse à n’en pas douter. Elle dégage une assurance qu’elle ne semblait pas ressentir avant la naissance de ses enfants. Je la trouve particulièrement jolie sur ces clichés. 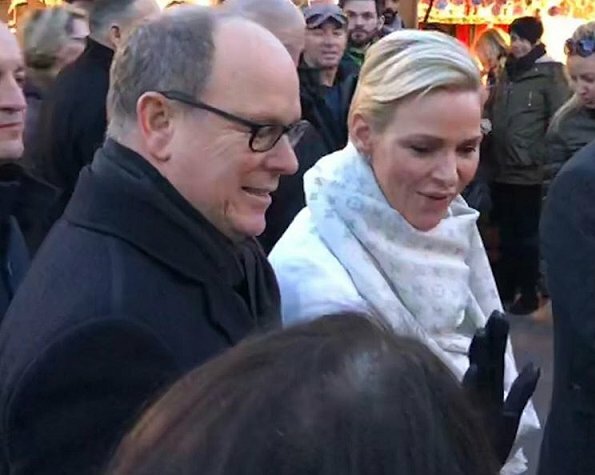 Love this event - the twins also made a little appearance. Charlene is definitely finding her feet now - she just oozes so much more confidence than previously. Good for her.